Can you describe your birth using emoticons only? Don't fret or worry. Instead of worrying, pray. Let petitions and praises shape your worries into prayers, letting God know your concerns. Before you know it, a sense of God's wholeness, everything coming together for good, will come and settle you down. It's wonderful what happens when Christ displaces worry at the center of your life. 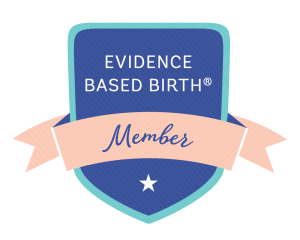 Are you an Evidence Based Birth® Professional Member? Join today!